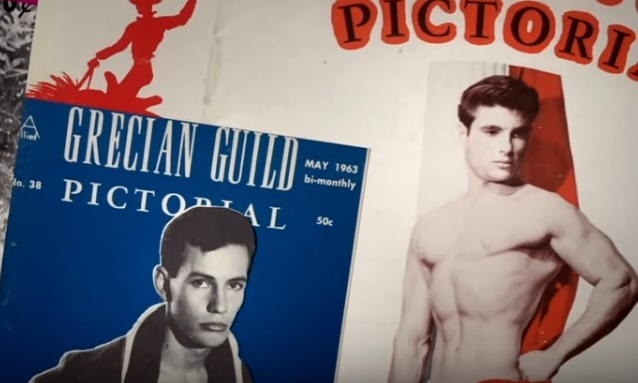 HOW WE GOT GAY is a short documentary which tells the incredible story of how gay men and women went from being the ultimate outsiders to occupying the halls of power, with a profound influence on our cultural, political and social lives. The battle over gay rights is the first great fight for freedom in the 21st century. However, at the heart of the revolution is a tragedy. What drove the gay community to finally demand power was a disease that was decimating its ranks: AIDS. This documentary tells the powerful story of the struggle for gay rights, from the 40’s and 50’s to the present day. It takes us inside the secret lives gay people were forced to live, at a time when homosexuality was illegal in every province in Canada and every state in America and police harassment was a fact of life. In 1969, the ‘Gay Revolution’ was unleashed with the Stonewall Riots, as an angry mob of gay people rose up against a routine police raid on a Greenwich Village bar. HOW WE GOT GAY covers the devastating story of AIDS and its dramatic effect on the gay rights movement. What started as a barely noticed outbreak of a rare form of cancer in a small number of homosexual men in 1981 spread to become one of the deadliest pandemics in modern history. When AIDS is treated with indifference and hostility by society, the lack of response gives rise to a new kind of anger and a new kind of gay rights organization: the activist group ACT-UP. Through an extensive interview with AIDS activist Peter Staley, we learn how the movement for gay equality becomes consumed with the AIDS crisis, and how the gay community finally got the world’s attention. In the crucible of AIDS, the modern gay rights movement is born. In the 21st century, the gay rights movement has evolved into a powerful network of disciplined, top-down, media-savvy, Ivy League-staffed organizations that know how to operate the levers of power. These new gay organizations co-opt conventional political weapons: self-selected candidates, political action committees, black-tie fund-raisers, research institutes and lobbyists. This episode of DOC ZONE is hosted by Anne Marie MacDonald and originally aired on CBC in 2013. Ann-Marie MacDonald is openly lesbian, a celebrated author and playwright in Canada.